Born in Calgary, Alberta, Maryse Culham completed her elementary and secondary schooling at Ecole du Sommet in St. Paul, Alberta, to first pursue post-secondary studies in the education field at Faculté St-Jean of the University of Alberta, then law at the Université de Moncton. Once she obtained her Bachelor of Laws in 2003, she completed her articles in Edmonton prior to being called to the Alberta Bar in June 2004. 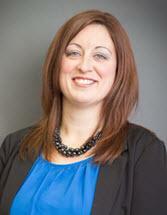 Since July 2004, she has been practicing with the law firm Lamoureux Culham LLP (partner since 2006). Her main areas of practice are family law, child protection, estate planning and administration and real estate. She believes her passion for litigation and advocacy was fuelled by her medal win for “distinguished advocacy” at the Gale Cup Moot in 2003. During many years, Maryse was involved in the legal community by joining the executive the Criminal Trial Lawyers’ Association and being president of the Association des juristes d’expression française de l’Alberta. Presently, she is on the executive of a national board in the judicial field, le Centre canadien de francais juridique. Although Maryse loves her career, her family (husband and three children) is of prime importance. She also has community spirit, shown in her volunteer work for the Association canadienne française de l’Alberta (St. Paul) and the Blés d’Or dance troop, her presidency of the Sommet School Council and her coaching and playing several sports.